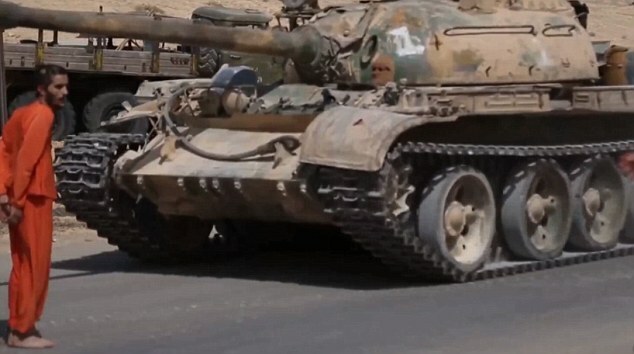 ISLAMIC STATE AIRS VIDEO OF EXECUTION OF MAN BEING RUN OVER BY TANK……. – The Tundra Tabloids……. ISLAMIC STATE AIRS VIDEO OF EXECUTION OF MAN BEING RUN OVER BY TANK……. Once again they top themselves in barbarity. Blood-thirsty Islamic State militants have released a sick new execution video showing a 19-year-old Syrian soldier being run over by a tank. The soldier, dressed in an orange jumpsuit, is forced to confess driving over the dead bodies of jihadis with a tank, according to the Syrian Observatory for Human Rights. The ISIS fighter, dressed in white, tells the camera the soldier’s punishment is to be run over by a tank while he is alive. Previous Post Previous Post THE LONG MARCH: PHOTOS OF MUSLIM SETTLERS SLOGGING INTO EUROPE…….